MSLGroup's hoax campaign for a product that claims to turn water into wine has garnered 750 million impressions so far, while surreptitiously raising awareness for clean water nonprofit Wine to Water, the agency said. MSLGroup’s hoax campaign for a product that claims to turn water into wine has garnered 750 million impressions so far, while surreptitiously raising awareness for clean water nonprofit Wine to Water, the agency said. 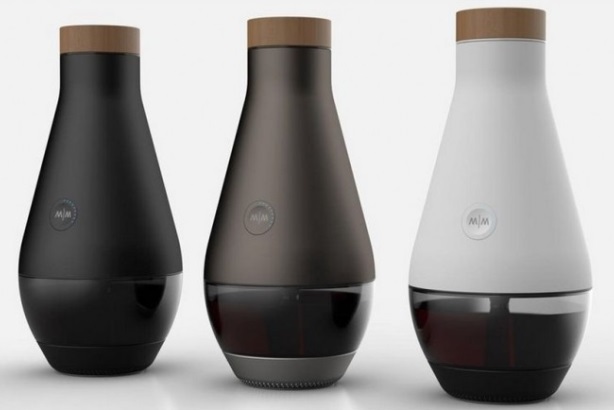 Last week it emerged that the home wine making tool "Miracle Machine," which generated a lot of buzz online, was in fact a fake. The activity was pro-bono work, led out of MSL’s PurPle division, in order to increase recognition for the work of the US-based nonprofit. "People are bombarded with messages from nonprofits and there is a lot of saturation, so it can be hard to break through," said Scott Beaudoin, global practice director, corporate and brand citizenship/PurPle, MSLGroup. The charity came to the attention of MSL after it was highlighted by CNN last November. A creative brief was issued to a handful of staffers across its offices, and the idea to create Miracle Machine came from the London office. A back story was created for the product, fronted by wine entrepreneurs Kevin Boyer and Philip James. A campaign page was also created on Kickstarter, with promotional material including a video. The idea was given the green light by the MSL board and legal team. "We thought the worst that could happen was that nobody would care," said Beaudoin. The story blew up after it was reported by Business Insider at the start of the March. The story was not proactively pitched, but Beaudoin said he received over 100 media requests. About 600 media outlets wrote about the product, but Beaudoin did not follow-up or arrange interviews about it until after the reveal. "I was trying to keep them interested, but not give information as I didn’t want to fuel the hoax," he said. He pointed out that the volume of stories was a result of a failure to fact check. Overall, 200,000 people watched the Miracle Machine video, nearly 600 media outlets around the world covered the story, 6,000 people tweeted about it, and 7,000 people signed up to show their interest in crowd-funding it. Beaudoin said the response from the media was mixed, with some reporters "totally pissed-off," an equal amount of people thinking it was a clever idea, and many of those who work in the cause world thinking it was "a brilliant idea." Business Insider’s Alyson Shontell, who broke the hoax news, wrote a follow up article, explaining how she was duped. About 20 people within MSL knew about the activity, including the agency’s CEO Olivier Fleurot. When it was revealed internally last week, there was some concern about the reaction from angry reporters, said Beaudoin, but it was well-received from the creative minds in the agency. "Today you’ve got to be disruptive," he said. "You need to think differently if you want to break through the clutter." While Beaudoin said that it is important for communications to be "authentic and transparent," they felt the dupe’s "reward was much greater than the risk." As well as raising awareness, another objective of the campaign was to drive as many actions, such as site visits, tweets, and donations, for Wine to Water as the hoax campaign generated in terms of media impressions. So far it is half way to achieving this goal, ahead of World Water Day on March 22. "We can hold our heads up high and not be ashamed because we didn’t hurt anyone, and it is probably going to save hundreds of thousands of lives," said Beaudoin.